Family is the first unit of a society and it plays a very instrumental role on how an individual turns out. Nigerian music star, David ‘Davido’ Adeleke, has proven that family means a lot to him. 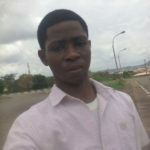 The Nwa Baby crooner took to his social media page to remember his late uncle Senator Isiaka Adeleke on his posthumous birthday, January 15, 2019. He would have been 64. The star explained that his uncle has defeated his enemies and still lives on. Adeleke was the first civilian governor of the newly formed Osun state in 1992. He was also elected as the senator for Osun West in 2007. The late senator reportedly died after a heart attack on April 23, 2017, at Biket Hospital, Osogbo. 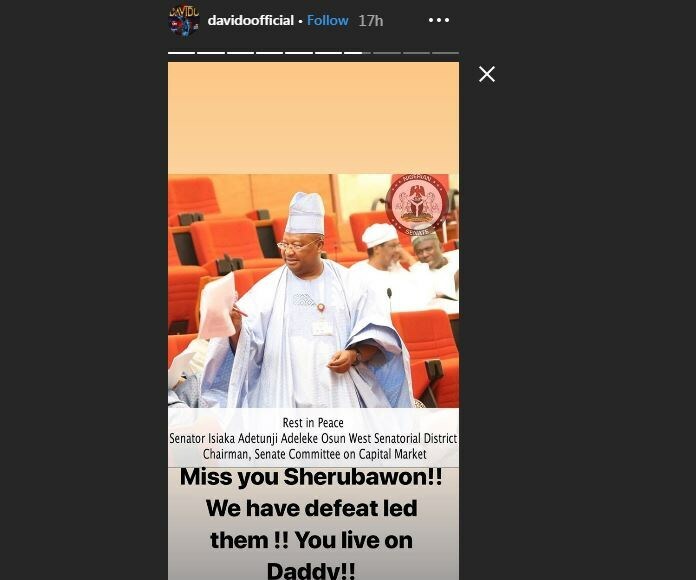 Davido is clearly not one to take the back seat when it comes to his family. This is apparent in the way he declared support and campaigned for one of his uncles, Ademola Adeleke, who was running for the Osun state governorship election. The young musician showed immense support for the elder Adeleke in more ways than can be described. Not only did he tour Osun state, showing himself as a massive supporter of the senator’s governorship bid, he has also attended several rallies to that effect. 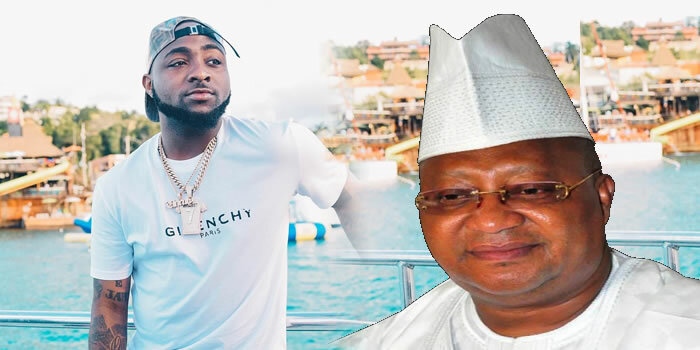 In making the general public aware of the rallies and his support for Senator Adeleke, Davido posted several tweets on Twitter which included a video where he openly declared support for the gubernatorial candidate.